Fall is fast approaching here in the Finger Lakes Region and apples are a big thing in my neck of the woods. And as luck would have it, New York State is the 2nd largest apple producing state in this country. We have beautiful apple farms to go apple picking at, fun and tasty apple festivals to entertain us and help keep our bellies full, and this year I am hoping hubby and I can make our way to Wayne County for their 16th annual apple tasting tour which sounds like loads of fun to me. 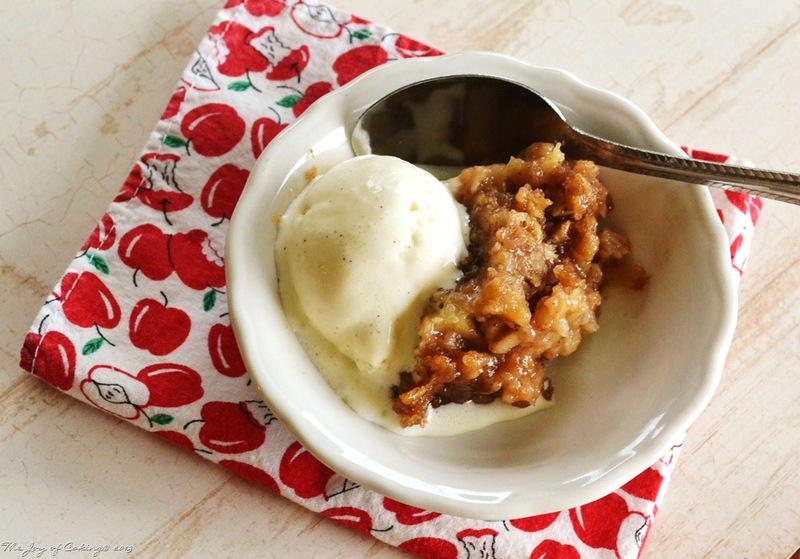 So, in honor of our soon to be autumn, I decided to cheer it on with a delicious warm and gooey apple dessert. This dessert is perfect for those days when you don’t feel like turning on your oven, or if you need a dish simple dish to pass but don’t have a lot of time to fuss. Top it off with a scoop of your favorite vanilla ice cream or dollop of homemade whipped cream and it just keeps getting better! This dessert recipe is adapted from Food.com. My adaptation appears below. If you prefer the original recipe just follow the previous link. This recipe makes about 6 servings. Generously grease a medium sized crockpot with non-stick cooking spray. In a large bowl, add all ingredients except apples; mix thoroughly. 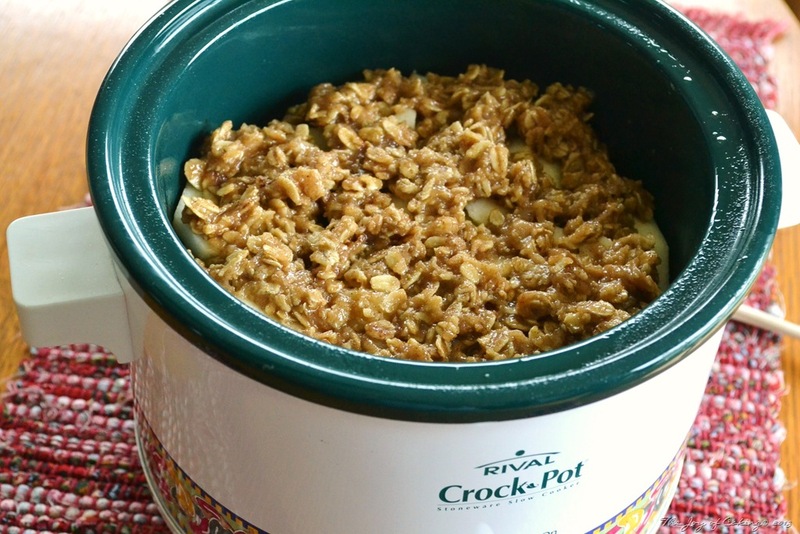 Layer half of the sliced apples on the bottom of the crockpot and top the apples with half of the oatmeal mixture. 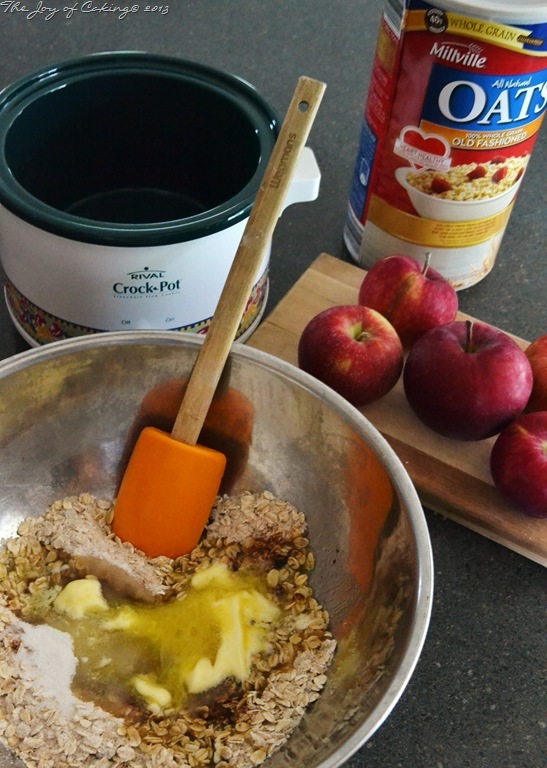 Repeat with remaining apples and oatmeal mixture. 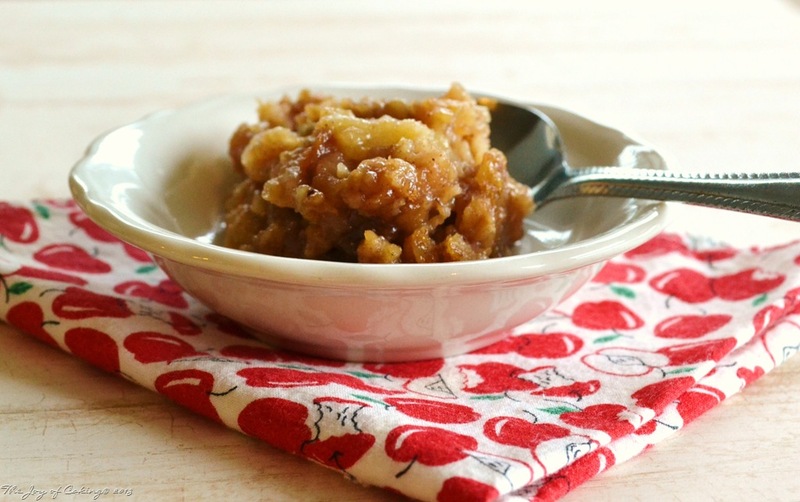 Place the lid on crockpot and bake on high for 2-3 hours, or until apples are tender. I stirred the dessert a couple times while it was baking. Turn crockpot off and stir once. Keep covered and allow dessert to sit until ready to serve. This dessert is a winner in my book. Fix it, and nearly forget it. I shared this with my husband’s family and there wasn’t even a spoonful leftover. I consider that a good thing! !